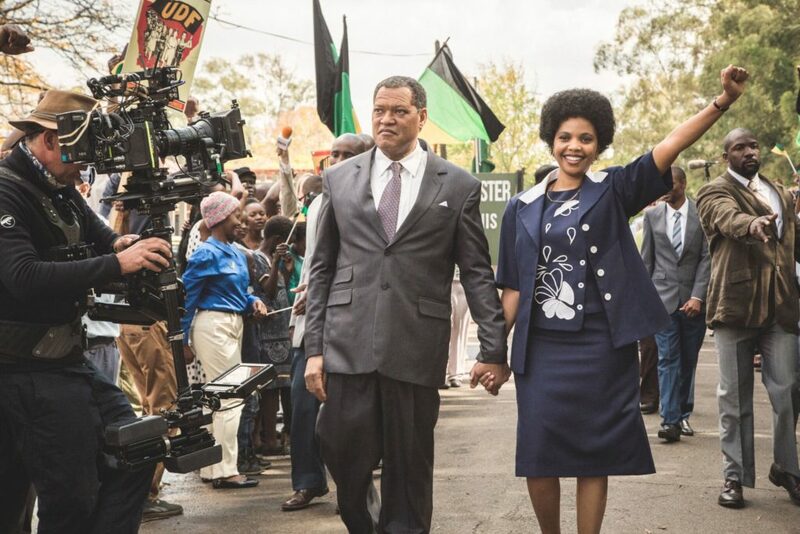 BET’s “Madiba” Stars Laurence Fishburne as Nelson Mandela for Black History Month. BET’s latest miniseries MADIBA about the life of Nelson Mandela will premiere this Wednesday. The three-part, six hour saga will air February 1st, 8th and 15, 2017 at 8pm. MADIBA will be the cornerstone of BET’s Black History Month programming and stars Laurence Fishburne as Nelson Mandela. BET Networks announced today its movie event Madiba, a three-part saga telling the definitive story of Nelson Mandela, that will air February 1st, 8th and 15 at 8 PM ET/PT. Madiba will be the cornerstone of BET’s Black History Month programming. Emmy award-winning and Oscar-nominated actor, playwright, director, and producer Laurence Fishburne (Black-ish, Batman vs Superman: Dawn of Justice, The Matrix Trilogy) stars as Nelson Mandela. Orlando Jones (Sleepy Hollow, Drumline, The Devil and The Deep Blue Sea), David Harewood (Homeland, The Night Manager, Supergirl), Michael Nyqvist (The Girl With the Dragon Tattoo), and Terry Pheto (Catch a Fire, Tsotsi) are co-starring. Madiba, based on two Mandela autobiographies, Conversations with Myself and Nelson Mandela by Himself, tells the most personal and comprehensive story of Mandela’s life, focusing on the man, and his innermost thoughts and fears as he fought and sacrificed for freedom to become an international icon. While many recognize Mandela as the face of the Anti-Apartheid Movement, this mini-series also pays homage to the many lesser known men and women who sacrificed and suffered alongside of him in South Africa’s quest for freedom. Orlando Jones plays Oliver Tambo and David Harewood stars as Walter Sisulu, two of Mandela’s closest friends, while Michael Nyqvist plays Dr. H.F. Verwoerd, the prime minister of Apartheid-era South Africa from 1958 until his assassination in 1966. Terry Pheto plays Nelson’s second wife, Winnie Mandela. The beautifully shot series was filmed exclusively in South Africa and on Robben Island, and along with detailing the early years of Mandela’s personal journey. Madiba reveals the behind-the-scenes strategizing and bold organizing tactics he and his collaborators used to bring attention to their movement both domestically and internationally. Madiba is relevant in these times of racial unrest and serves as a reminder of the trials of political injustice, and giving us a roadmap of the hope and possibilities that come with being on the right side of history.